Every effort will be made to assist you in processing your insurance claims. Our fees are based on the range of services provided. For services not expected to be covered by insurance, we request and appreciate payment at the time services are provided. However, please let us know if you need to make monthly payments on your account balance so that a payment plan can be arranged to suit your budget. Our staff can contact your insurance company to verify your coverage. We are participating providers for many, but not all, major insurance companies in Michigan including Blue Cross Blue Shield/Traditional, BCBS Michigan/PPO, BCBS Medicare Advantage, Blue Care Network, HAP/Health Alliance Plan, HAP/HMO, HAP Medicare Advantage, HAP Preferred, Priority Health and Medicare. Our services are also eligible for coverage for cases involving an auto accident / no-fault carrier and on the job injury/workers compensation related claims. Please note that your insurance company is not bound by what they tell us over the phone. Occasionally, they make mistakes. We recommend you also call them to verify your coverage. If you have any specific questions regarding your insurance coverage you may contact our billing department by calling 1-800-586-7992 or 1-989-772-1609. 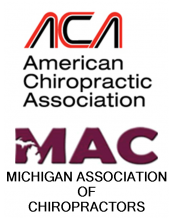 You can also visit the Michigan Spine and Pain website for further information regarding insurance and billing policies and procedures.